My mom and I designed this LEGO station so I could display, store and play with my LEGOs. On the wall is a pegboard with shelves and a plastic organizer case. The table is a glass IKEA coffee table with storage. 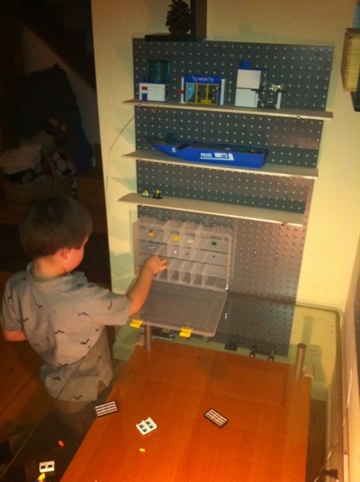 This entry was posted in LEGO Sets and tagged lego, pegboard, work station by Alexander. Bookmark the permalink.